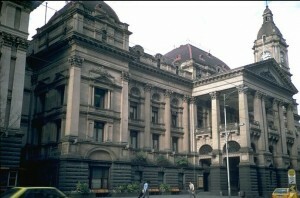 Last Wednesday night’s symposium “Lifting the Lid on the GFC” at the Melbourne Town Hall – with Michael Hudson, Steve Keen and me – was an enjoyable and well-attended event. The meeting was chaired by the Henry George Foundation of Australia’s John Poulter, who provided nicely-researched comments, and provided Steve Keen with some jogging shoes for his upcoming ‘bet’ trek to Mount Koscuisko. It was great to speak to people afterwards. Despite assertions of politicians and the media, people are increasingly sceptical about the ‘relatively healthy’ state of the Australian economy in comparison with those countries whose real estate prices have tanked . Many believe it’s a matter of timing and that it looks like we’re going to be one of the last cabs off the rank. 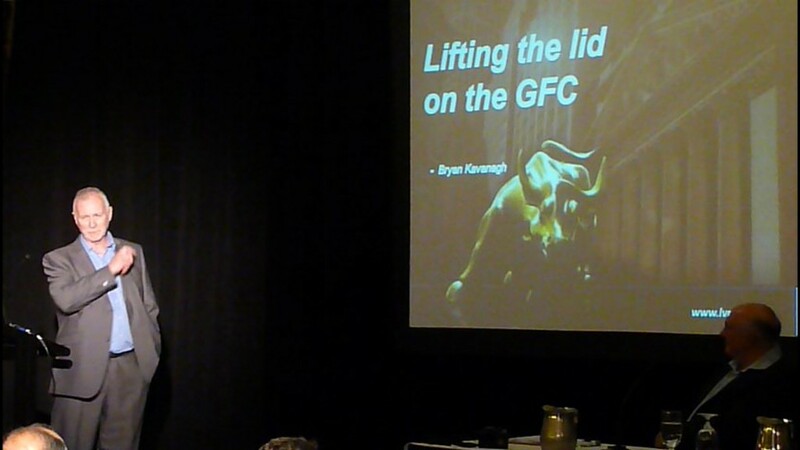 Click through my GFC presentation here.